For over 25 years PRO TEC has been supplying Cases and bags designed by musicians for musicians. The Cases are sturdy, lightweight, and shock resistant. 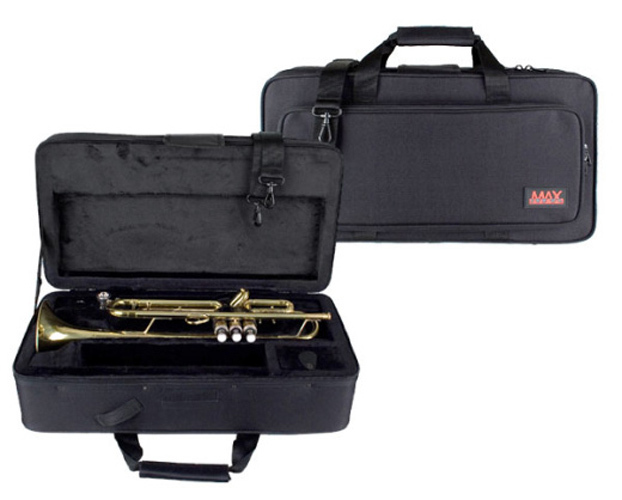 The MAX Trumpet Case is a great value case that offers lightweight protection. The case features a tough nylon exterior. Roomy exterior pocket. Padded handle grip secured by hook and loop fastener. Shoulder strap included. Maximum Horn Length Size: 19"
External dimensions: 21.5" x 11.5" x 7.25"
Weight with shoulder strap: 4 lbs. 14.5 oz. Large Open Compartment: 11.88" x 3.5" x 3.5"
Small Compartment: 3.25" x 2.25" x 2"